In the wake of each of America’s all-too-regular mass shootings – particularly in an election year – political candidates weigh in quickly with what have become cookie-cutter responses to the carnage. Nearly without exception, Democrats exclaim that the latest violence should be a tipping point to rally support for “common-sense gun reforms,” while Republicans insist that the best solution to gun violence is to “enforce the laws already on the books.” Those on the left grimly compare U.S. laws to the virtual gun bans in many European countries; those on the right point to some high levels of gun violence here at home in jurisdictions with the most draconian restrictions. Why the rote statements? The two parties simply look very different on the issue – and very different from where the American electorate at large stands, as well. According to a poll released by NBC News and the Wall Street Journal in mid-October, a slim majority – 55 percent – of the public says that gun laws should be more strict, while just nine percent want to see the laws made looser. 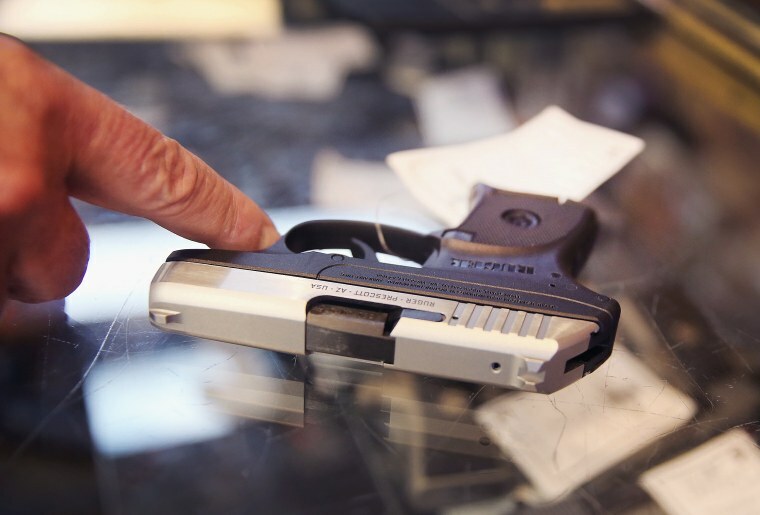 About a third – 34 percent – believe that current gun laws should be kept as is. But delving into the views of the primary electorates shows a very different picture. Among Republican primary voters, a majority – 53 percent – say that current gun laws should not be changed at all. Seventeen percent want less strict regulations, while just 28 percent want more stringent laws. But among Democratic primary voters, a huge majority – 83 percent – say that there should be stricter laws, while just 13 percent believe the laws on the books are sufficient. A tiny three percent want to see loosening of current rules.